Original package design was created by Peter Saville. Having tried a few different directions for LP cover art, we decided to incorporate the video monitor as a painting tool, as Brian and others were doing here and there. By pointing the camera at the monitor and generating video feedback a few little cutout humanoid shapes pasted on the screen would be infinitely multiplied. And by fussing with the color setting on the backs of the TV sets one could saturate and skew the color quite a bit. I also took some pictures of just skewed vortexes and whorls of color, and then we did some images where we skewed the color on pictures that had been taken of ourselves and then took polaroids of the results. Somehow, despite it being very techie, these techniques also seemed analogous to what we were doing on the record. It was funky as well as being techie. Extremely lo tech actually, and not what you were supposed to do with a TV set – regarding the original cover. 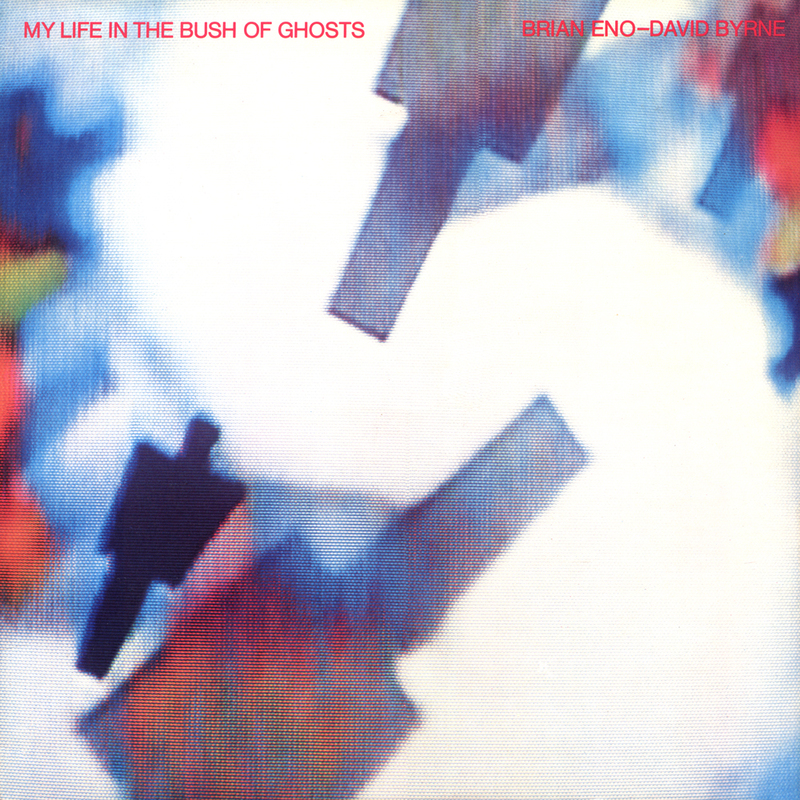 My Life in the Bush of Ghosts is a 1981 album by Brian Eno and David Byrne, titled after Amos Tutuola’s 1954 novel of the same name. 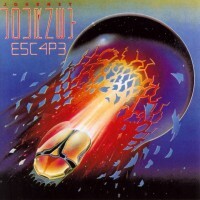 The album was re-released in expanded form in 2006. Receiving strong reviews upon its release, My Life is now regarded as a high point in the discographies of Eno and Byrne. In a 1985 interview, singer Kate Bush remarked that the album “left a very big mark on popular music,” while critic John Bush describes it as a “pioneering work for countless styles connected to electronics, ambience, and Third World music.” The extensive use of sampling on My Life is widely considered ground-breaking—it was one of the first albums to do so—but its actual influence on the sample-based music genres that later emerged continues to be debated. Pitchfork Media listed My Life in the Bush of Ghosts as the 21st best album of the 1980s. 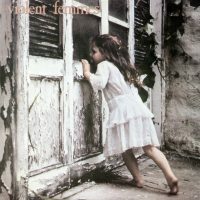 Slant Magazine listed the album at No. 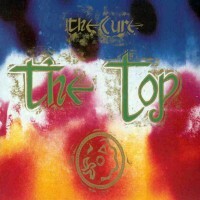 83 on its list of the “Best Albums of 1980s”.